2016 will be the year of reckoning for many retailers and manufacturers who do 'fulfillment at any cost.' Here are some insights on key elements required to fulfill profitability in today's increasingly demanding competitive environment. To survive and thrive in today’s omni-channel world, businesses need to serve customers flexibly and reliably—offering a very wide variety of choices on where and how items are discovered, ordered, delivered, installed, serviced, and returned, as demanded by their customers. As the pallet of approaches to fulfillment and delivery expands, it requires new processes and capabilities that take time to refine and run efficiently. However, business cannot run forever1 without making a profit. Amazon and others have been creating ever-increasing customer expectations and pressures to always have the desired item available and to deliver those items ever faster and at lower or no shipping cost to the customer. To try and keep up, some competitors have taken the brute force approach, simply reducing their profits—for example fulfilling from anywhere, regardless of the cost, to keep an order and satisfy the customer. This approach is not sustainable. Eventually retailers have to achieve profitable fulfillment. And ‘eventually’ must be in 2016 for some retailers and manufacturers. More efficient store fulfillment operations—Stores are not set up like warehouses to optimize for picking and fulfilling orders. 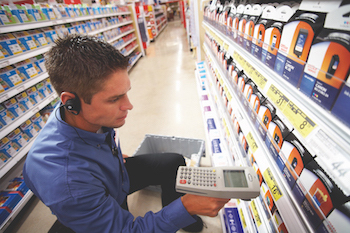 Furthermore, store associates have typically not been trained for those tasks, nor store systems optimized for tasks like order picking. That is all changing and will be an important piece of the profitable fulfillment puzzle in 2016. Increases per-store sales volumes, ensuring that store inventory is consumed, and enhancing the relevance and value of the physical store. Item-level inventory accuracy—Retailers would like to leverage the inventory they have across their network, including in their stores, DCs, at their suppliers, and in-transit. In order to do that, they need accurate SKU/item-level (down to size/color/style) inventory counts at each location and in transit. The store is an Achilles heel in this regard, as the average store/SKU inventory accuracy for retailers is about 65%--i.e. the count is wrong for about 1/3 of the items in a store. For certain categories, such as apparel and footwear, RFID offers a potential solution. For other categories, where RFID may not be cost effective, retailers may need to improve the robustness and accuracy of their store receiving processes, POS systems, and LP2 programs to reduce the degradation of perpetual inventory accuracy in between inventory cycle counts. Allocations/ Optimized inventory placement—As a basic tenant of supply chain management, having ‘the right items at the right place at the right time’ may seem like something most companies should have tackled, and hopefully mastered, a long time ago. However, this was never as easy as it sounds, and has become even more notoriously difficult as product lifecycles have shortened, social media drives more rapid and dramatic changes in tastes, and the variety of fulfillment locations and options has mushroomed. First it requires understanding where the demand will occur and how the customer will want it fulfilled. It also requires understanding the various costs to fulfill. 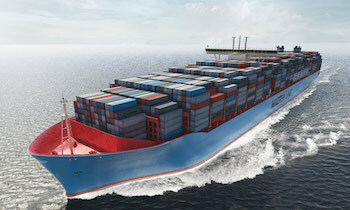 Integrating the supplier/manufacturer and in-transit inventory (Drop Ship, Pooling, etc. )— Inventory in transit should be considered in the fulfillment equation. It may be dynamically routed or shipped directly once it arrives at a deconsolidation center or a DC. Redesign of warehouses and processes is being done by big retailers for better pooling of inventory, deconsolidation and reconsolidation. Inventory may be drop shipped directly from one of the manufacturer’s locations to the customer. However, simply shifting expensive item-level shipping costs to the manufacturer without considering how to optimize and reduce costs is not a long-term solution. Thus the end-to-end view, including the supplier/manufacturer and the logistics chain, must be part of the total solution to driving down fulfillment costs. This is not a complete list by any means, but highlights some important areas retailers and manufacturers can invest in to make a difference. Looking ahead to 2016 and beyond, this is becoming an increasingly critical topic and we will be researching and writing more to help companies attain profitable fulfillment. 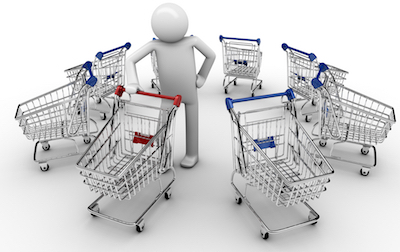 Blog series on Omni-channel for Manufacturers/Suppliers: So you want to sell direct to consumers?